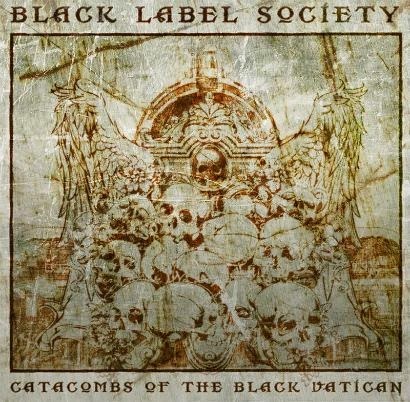 Hall of the Mountain King: Review: Black Label Society, "Catacombs of the Black Vatican"
There’s nothing on Catacombs of the Black Vatican as immediately catchy as “Overlord” or as fiery and adrenaline-fueled as “Parade of the Dead” or “Godspeed Hellbound” from Order of the Black. What the record does well, though, is pull together all of Wylde’s various influences over the years. 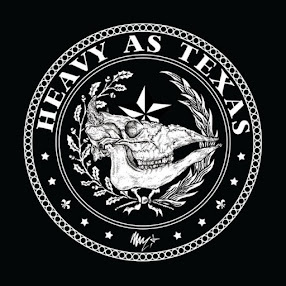 He delivers bludgeoning Black Sabbath-inspired riffs, grungy melodies, soulful Southern rockers and even a 1970s-style pop ballad. After the first two tracks on the record, I joked that it was Zakk in Chains. Opener “Fields of Unforgiveness” could easily have been an Alice in Chains number, complete with some of those tortured moans that Layne Staley did so well. It’s perhaps a bit out of character for Wylde, though he’s an admitted Alice in Chains fan and even wrote a tribute song to Staley on the Hangover Music album, but it’s also one of my favorite tunes here, maybe because it does bring something a little different to the table. Lead single “My Dying Time” also carries a bit of Alice in Chains flavor with Wylde harmonizing with himself on the chorus. This one features more of Black Label Society’s signature sound, though, with the backing riff reminding me of something from the band’s 1995 Mafia album, a personal favorite. We get the first big grooving riff from “Believe,” which also pulls in some of the Southern rock stylings of Pride and Glory, particularly on the chorus. It makes me wish he’d give us another album from that project, though admittedly much of the sound has been incorporated into BLS at this point. The first ballad arrives right on schedule with fourth track “Angel of Mercy,” which continues on the Southern rock theme. For all the brash heaviness of much of Black Label Society’s music, Wylde has always been a very underrated balladeer. He can deliver a tender, emotional performance just as well as a big, loud screamer. “Angel of Mercy” is the best of the three examples on this record, though “Scars” is also a strong tune and the echoing guitars of “Shades of Gray” bring something different to the record. But as much as I like some of his ballads, I’m here for the heavy stuff, and there’s plenty of that, too. Another favorite is “Damn the Flood.” It swings with a riff that would have been right at home on Black Sabbath’s Sabotage record and finds Wylde delivering the vocals in his familiar, slightly gruffer version of Ozzy’s wail. About the midpoint of the song it slows down, and despite being punctuated by Zakk’s trademark harmonic squeals, the riff is still very much from the Tony Iommi songbook. The Sabbath feel continues on “I’ve Gone Away,” a mid-paced number with a chunky power chord riff. This one sounds a little more like the modern version of Sabbath, and a cool wah-wah lead guitar sound brings Wylde’s style to it. The grunge influence of the early album returns on the chorus and makes for a nice blend. There’s even more love for Sabbath on “Empty Promises,” which opens with drummer Chad Szeliga (Breaking Benjamin) getting the spotlight before Wylde checks in with another very Iommi-like riff that’s one of my favorites on the album. Catacombs of the Black Vatican didn’t have the immediate impact on me that Order of the Black did, but that could also have something to do with the situation. It’s a whole lot easier to impress when your last album was a mediocre effort than when it was one of your best. I’ve warmed up to the record more and more with each listen, though. It delivers everything you want from Wylde — screamingly heavy tracks with meaty guitar riffs and ripping leads, interspersed with a few quieter, more reflective moments. It also adds a few slightly new wrinkles, though nothing revolutionary. BLS fans will be pleased.